Current: How to Prioritize Product Backlog Using 100 Points Methods? It is important to prioritize your product backlog to make sure it doesn’t become an open-ended list of every random thought anyone has about your product. Your backlog needs to be structured, organized, and prioritize to determine the most strategically important things for your team to work on. In this Article, I am going to introduce the 100 Points method for the product backlog refinement activity. What is the 100 Points Method? The 100 Points Method (also call 100 dollar, fixed sum, or fixed allocation) was proposed by Dean Leffingwell and Don Widrig in 2003. 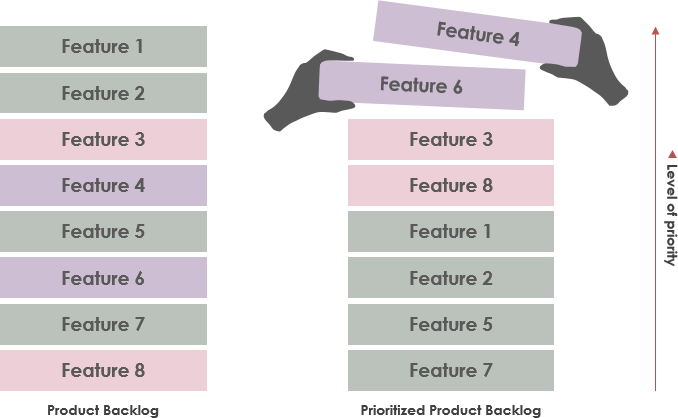 The objective is to give more weight to the higher prioritized backlog items when compared to the other available User Stories. 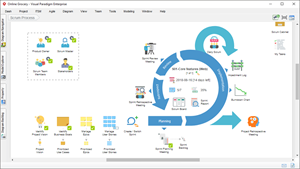 It involves giving the participants 100 points they can vote for the items in product backlog such as Epics, or User Stories that adds most value to the business. The votes do not need to be distributed equally; rather a weighted distribution can be allocated to reflect the higher priority that some items worth. On completion of the voting process, prioritization is determined by calculating the total points allocated to each User Story. How the 100 Point Method Works? As mentioned above, the 100 Points method lets participants distribute 100 points to prioritize different items. The ratings are shown in percentage, with the most popular choice ranked from the top. Imagine that a group was trying to prioritize 5 items. A person could decide that each item is of equal importance and assigned 20 points to each. Or, they could decide that item 1 is more important than 2 which is more important than 3, and so on, and therefore spread the votes out in a weighted fashion where item 1 gets 40 votes, item 2 gets 30 votes, item 3 gets 15 votes, and etc., until all of the votes are allocated. Each person allocates their 100 points. Then all of the votes are added to determine the final vote count for each item resulting in the prioritized list. Sometime we this method is also called fixed-sum or fixed-allocation method, because when we give the participants with the same set of items and ask them to allocate 100 points across the product backlog items based on their relative importance. They have to make a trade-off when making the prioritizing decision. More points for one item means fewer points for another. The depth of decision making required means this method is high in participant’s burden, but there’s real value in that decision process. As the 100 points method provides a fixed sum, it requires the correctness of the prioritization to consider to be valid. Otherwise some validation procedure will be necessary, but that is likely worth the effort and can also be done by certain software tools.